With several money-related mistakes that I’ve made in the past, I was able to make better choices later on. But in some instances, I made the right decision without having to learn first from mistake. 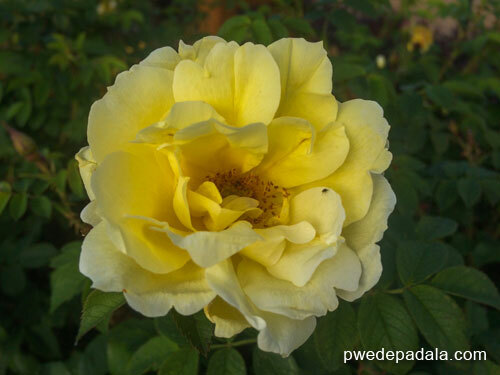 In my my first year in Canada I chose to send money to the Philippines using PayPal. Which of this services have you tried? The common way to remit money among our kababayan is through remittance agents. As for me, I always come back to my first choice: PayPal. Although right now, TransferWise is another money transfer company I would consider other than PayPal. I’m ecstatic because my sibling helped me to write this blog post; it took ages for me to finally get the details but persistence prevailed in the end. Because I profess my money-wise choice in sending remittance, might as well give you the reasons why I’m still using PayPal. 1. Security. This is the biggest concern I have with all things about online. And transferring my money online is no exception. My trust only keeps getting stronger. With every transaction, I get notification of the transfer and no spam. 3. Efficiency. My recipient always get the money either through a bank or Visa debit card. Not once did I have to contact the customer support to ask or report a bug. Although, I’ve been using PayPal as a side hustler and an OFW for a long time, I still wish for more improvements, features that I find in other money transfer mobile and web application. It’s all about transparency; I’ll share the not-so-good side of my fav app. What I don’t like is that I can’t see the exchange rate, but the receiver can, which by then the transaction has been completed. Is that all what I don’t like about PayPal? I used to be proud when I say to my friends that I spent a loonie (C$1.00) or less in remitting money to the Philippines from Canada using my cellphone. Then a week ago, I was shocked when the fee increased. It could be a glitch or something. But it wasn’t; I thought I could get my chance of reporting a bug like on uTest. Is it time to say goodbye? Some things never last. I saved a lot through PayPal in the past. If you will send remittance through a money transfer agency like iRemit, you’ll pay between C$8.00-C$12.00 per transaction regardless of how much you want to remit in the Philippines. But looking in my past PayPal transactions, the fees vary according to the amount transferred. Note: My bank account is linked to my PayPal account. And I transfer money to my “Friends and Family.” Both settings mean lower transaction fee. When I sent (December 2017) C$164.99, I paid C$4.99 fee. This is almost the same fee I pay using TransferWise. It got me thinking, should I still use PayPal? Before I make any conclusion, I checked the changes in fees which I never bothered to do as long as I’m not spending a lot. For the complete list of countries and fixed fees, you can check the PayPal fees if you are sending from Canada. It wasn’t a glitch afterall. I would have pay higher if I use my credit or Visa Debit card. Conclusion: In spite of the increase in fees, I will still use PayPal most of the time. Then occasionally use TransferWise . . . for now. If PayPal keeps on increasing the fee then I’ll come running to other online money transfer companies. Any recommendation? Create a PayPal account. You’ll be redirected to the specified country depending on your IP address. Turn off any virtual private network (VPN). Verify the account. Link your bank account; for security reason, I suggest that you link a bank account other than your main bank account. The recipient can withdraw the PayPal fund using Unionbank Visa EON debit card. Send money to the Philippines to your “Friends and Family” and by linking your Canadian bank account instead of a credit or Visa Debit card. 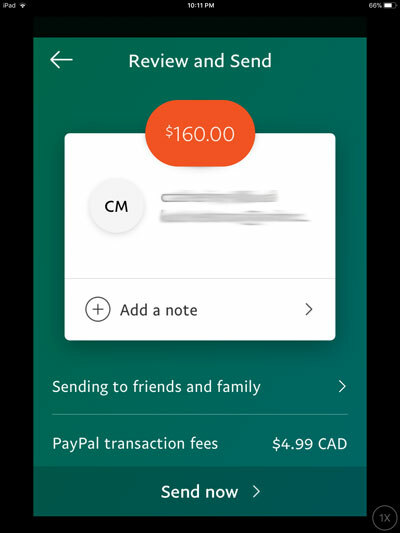 Anyone can use the PayPal app which I recommend than signing online on desktop computer. The only downside, is that, it is easier to spend without leaving home. At least I wouldn’t be tempted to shop in a Filipino store in Calgary if I remit through a remittance agent. Receive payment in testing for mobile and web applications on uTest. Pay Apple app store. I use Rogers Platinum Mastercard instead. Shop online. Almost any online store allows PayPal payment. Can you think of other ways of using PayPal? As for me I’ve tested apps and written blog post and get paid on PayPal. It would be nice to have an online business as well. If PayPal does the job well of remitting money minus the stress and adds more time in your day, I say sign up. Give it a try. For skeptics, send a small amount of money first and see how it goes. For those who have been shocked by the high fees, I wouldn’t argue that it’s a huge increase yet the fee is still way lower than the fees charge by banks and remittance companies. Well, I’m still using PayPal. And will let you know if I found more ways to send money to the Philippines for a low fee.